The collection stimulates deep cell repair and fights the signs of skin ageing such as pigmentation, wrinkles, dehydration, loss of elasticity and uneven skin tone. The White Truffle HD Serum and Cream-Gel have also become a favorite of makeup artists as the perfect base for an amazing HD make up. White truffles need no introduction in the cuisine world. French gourmet Jean Anthelme Brillat-Savarin has famously called it "the diamond of the kitchen" and white truffles are a rarity as they are only available a couple of months in a year. Why white truffles is good for our skin? White truffle is rich in vitamins and minerals such as calcium, potassium, magnesium and poly-saccharide that are the perfect recipe to naturally brighten, moisturize and refresh the tired and dull skin. 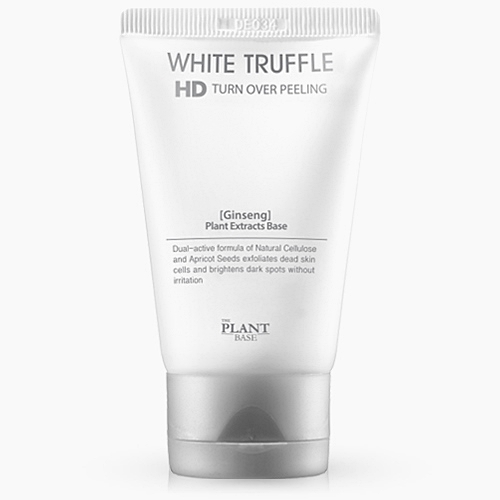 Enriching the “White Truffle” range of products for a bright and flawless HD skin, The Plant Base research team have found a synergistic counterpart for the White Truffle ingredient with the Korean Ginseng. Korean Ginseng has a long and illustrious history as an herb for health, and has been used for thousands of years throughout the Orient as a medicine and tonic. 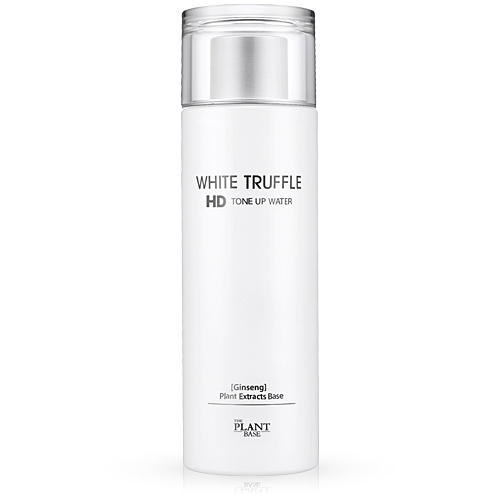 The “White Truffle” range is also formulated with The Plant Base patented ingredients such as Resmelin™ and Inflax™. Resmelin™ is a complex of Thujaorientalis Leaf extract and Zanthoxylumpiperitum peel extract. It is a patented whitening ingredient due to its ability to hinder melanosome formation. 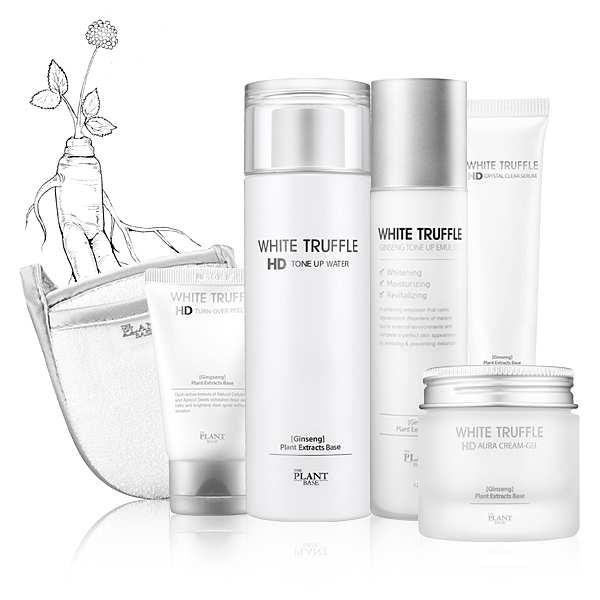 The “White Truffle” collection comprises of 4 special chemical-free products, namely a turn over peeling gel, tone up water, serum and cream-gel. 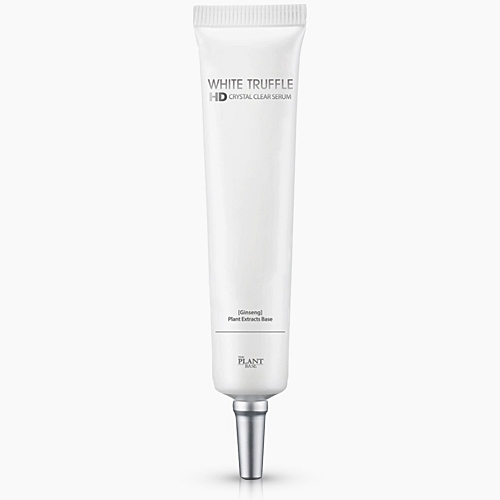 This cream-gel provides moisture that result in lightweight bright HD skin. The cream-gel provides sufficient moisture and elasticity so much so that it creates an aura for the face. The key to the aura is derived from the Juniper Berry, Caffeine Extract, Horse Chestnut Extract and the Sparassis Crispa Extract found within this product. 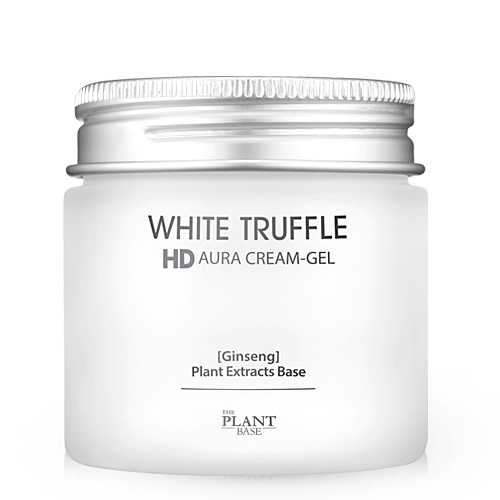 The White Truffle HD Aura Cream-gel is formulated with 76.07% Ginseng Water, White Truffle Extract, Ginseng Callus, Resmelin™ and Inflax™. The peeling gel is formulated with ECOCERT certified ingredients which are 83.02% Ginseng water, White Truffle extract, Cellulose, Apricot Seed, Ginseng Callus and patented ingredients Resmelin™ and Inflax™. The dual-active formula of Natural Cellulose and Apricot Seeds gently removes dead skin cells without causing irritation. This organic toner balances skin pH level, prevents freckles, promotes whitening, moisturizing and provides antioxidative actions. The formula is comprised of ECOCERT certified ingredients, including 87.15% Ginseng Water, Ginseng Callus, White Truffle Extract, Inflax™ and Resmelin™. Resmelin™ and Niacinamide help to limit excess melanin pigment and hinder melanosome activity. The ECOCERT certified ingredients contained in this serum include 87.33% Ginseng Water, White Truffle Extract, Resmelin™ and Inflax™. The Plant Base patented ingredient Resmelin™ and White Truffle work as strong inhibitors of melanin production. This leads to a three dimensional skin process that brings crystal clear, HD and luminous skin. The serum also doubles as an eye cream that gives moisture and suppleness in the eye area.